India - CIRCA 2013 - Static shot of the Taj Mahal and many people visiting. hd00:15AGRA, INDIA 15 FEBRUARY 2018 : Tourists from India and around the world visit the Taj Mahal, Taj Mahal is a UNESCO World Heritage site in Agra. hd00:18AGRA, INDIA 15 FEBRUARY 2018 : Tourists from India and around the world visit the Taj Mahal, Taj Mahal is a UNESCO World Heritage site in Agra. hd00:31AGRA - NOV 10: The beautiful Taj Mahal on November 10, 2011 in Agra, India. 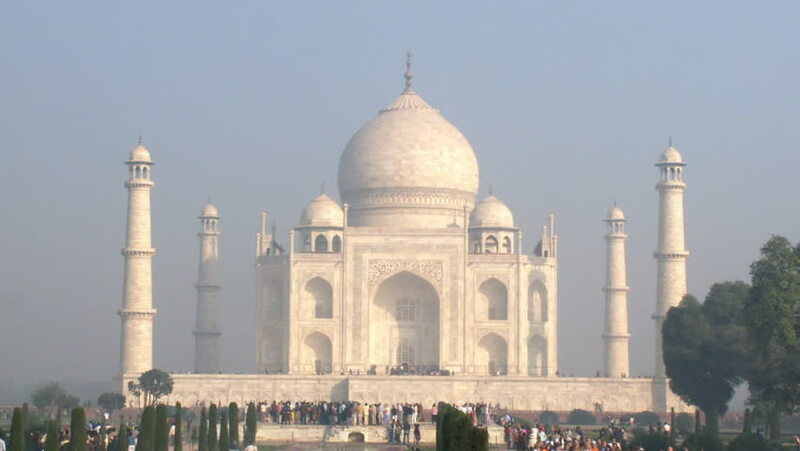 The Taj Mahal is widely recognized as one of the universally admired masterpieces of the world's heritage.